This triangle may be used as a companion to the Circle Savvy Ruler, Item CGRSAV1. Adele's Tips: Starch fabric to prevent stretching. 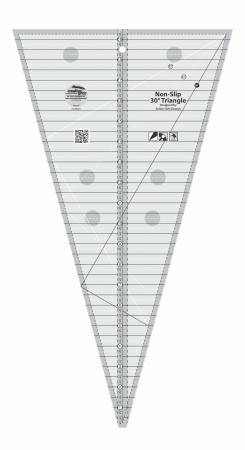 Use the QTools Cutting edge strips to mark your chosen size.